GSL 2016 Decision- Rewarding or Fun? So I need help from all of you. I am trying to make a decision. 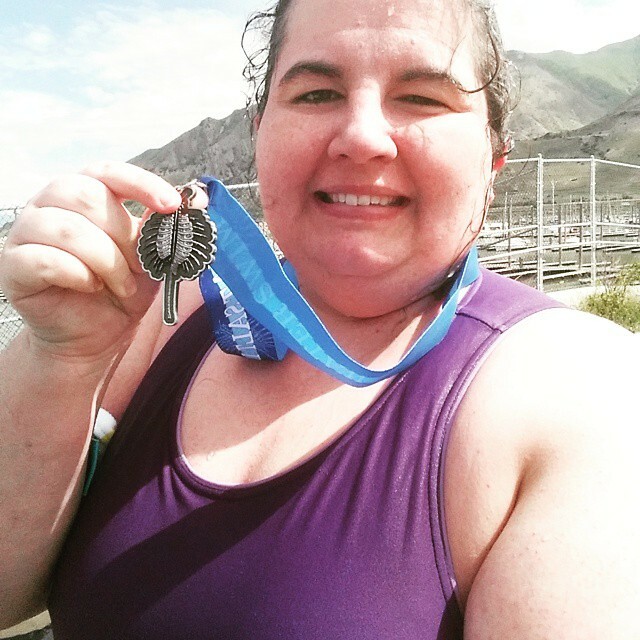 This June 4th is the Great Salt Lake Open Water Swim. If I swim it I will be my 5th time completing the 1 mile race. Here’s my struggle. It’s EVIL but very REWARDING! When I say evil here’s what I mean. You step into the water and your skin burns. Your pores sting and you feel your hands and toes getting chapped and swollen. Your nose gets raw and then your throat starts to burn and your tongue gets numb. Then there is the race. They always seem to have to start the race in a weird spot. Twice we have been climbing over rocks to get to the starting point. Then there is nothing to sight while you swim so it is hard to keep up morale. You feel like you are on a swimming treadmill and aren’t making any progress. You don’t have your own kayaker like at deer creek to motivate you (although normally I’m so far behind that I have one by default!). The water saps energy from me so it is exhausting and brutal. I get that medal and hear my friends cheering me on and it is all worth it. It’s great because it was so hard. It’s an accomplishment because I really pushed myself. But aren’t things like this supposed to be recreation, supposed to be fun? I’m super out of shape so I guess I’m nervous on that front but I’m sure I can do it. It will just be insanely hard. A side of me thinks why put myself through all that? Especially when I can do Bear Lake and have a much more pleasant experience with time to train in July. What do you think? Should I do it and make it a 5-peat or take a break for a year? What would you do if you were me? “You step into the water and your skin burns. Your pores sting and you feel your hands and toes getting chapped and swollen. Your nose gets raw and then your throat starts to burn and your tongue gets numb.” These are very bad adverse effects. Tongue numbness is a serious warning symptom. “The water saps energy from me so it is exhausting and brutal.” Immersion in this kind of concentration of salt water obstructs venous return of blood from the extremities, and it raises blood pressure. Immersion in fresh water does not do these things. 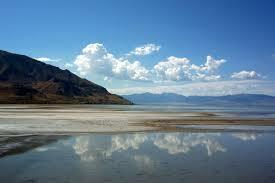 For your safety, please do not swim in the Great Salt Lake. Thanks. I did make it sound quite awful didnt I. It is a hard thing but I’d be fine if I decide to do it. Thank you for your feedback. I’m firmly in the “this should be fun” camp. I get the need to do something challenging, but I feel like once you’ve done it, there’s no need to torture yourself every year. Now, if you had just beat cancer or had a leg amputated or gone through some other horrible adversity (physical or otherwise) and you really needed to prove to yourself and others that you still COULD do it, then I’d see doing it again. For me though, open water swimming is something that I do mostly for fun. The challenge can be part of that, but I just don’t see the fun in doing that race year after year. It does sound like maybe you’re itching for a new goal or challenge, so you could look for other races later in the summer that might give you that. One last note–open water swimming is one thing I won’t do without proper conditioning because I worry about safety. Even strong swimmers can get into trouble in the open water, and pushing your body to do something it’s not properly conditioned to do makes the risk that much greater. I just ran 800 metres in four minutes. Doesn’t seem like a lot but I was out of breath and would’ve stopped if I had the chance, I was sweating and I thought I was going to have an asthma attack. Then sir said to someone behind me, come on it’s only 400 metres. I finally finished it and was actually one of the first and felt so proud of myself. But I would never do it again because to me you know you can do it so it’s not as rewarding as first time around. Yeah I think if my sleep was better but I’ve been in a weird place lately with my insomnia. I think I’m going to miss this year but a side of me still wants to push it. Hard call.